The Avg. Group Saves 16.3%! We are located just 3 blocks from Baltimore Inner Harbor and Baltimore Convention Center Baltimore Inner Harbor has many restaurant, shopping outlet, boat tours, and more. Some local attraction would be Orioles Park, The National Aquarium, Port Discovery, Power Plant LIVE and Ripley's Believe it or Not. Discover the new Delta Hotels by Marriott Baltimore Inner Harbor Our all-new hotel located in Downtown Baltimore, features 150 guestrooms offering unique, upscale style and purposeful amenities and services designed for the modern traveler. 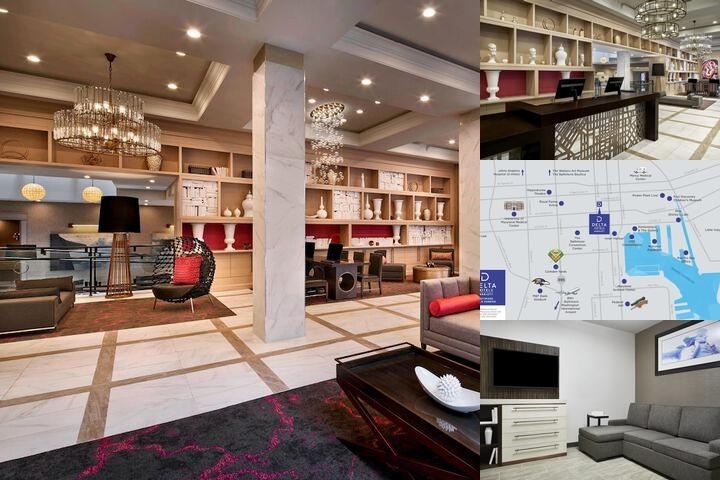 Focused on creating an upscale experience, stylish rooms and suites feature useful amenities like Smart TVs for personal device streaming, free WiFi, complimentary bottled waters, and luxurious towels and bedding. Situated in a historic building built in 1904, the exterior features authentic exposed brick while graphics of iconic Baltimore landmarks adorn the hallways celebrating the spirit of the city. References to Baltimore's historic past and most celebrated author, Edgar Allan Poe, are gently woven into the interior. Baltimore Washington International Airport (BWI)- located just 25 minutes from hotel. 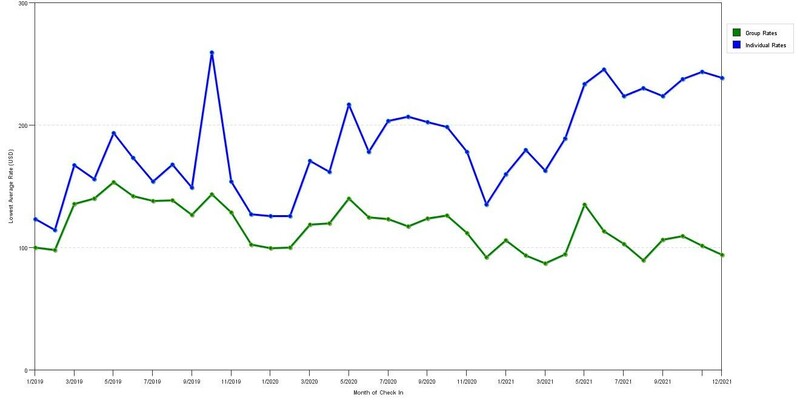 The graph above is seasonality of room rates for both group/meeting rates and the lowest online individual rates our rate checker could find at the time the group bid was placed. The most competitive group rate shown is 73.0% in March 2020 and the highest average individual rate is $440 in the month of March 2020. This chart will show past seasonality and also project future months. If you are flexible with dates, you may want to consider staying at Delta Hotels by Marriott Baltimore Inner Harbor in a month when rates are lower. 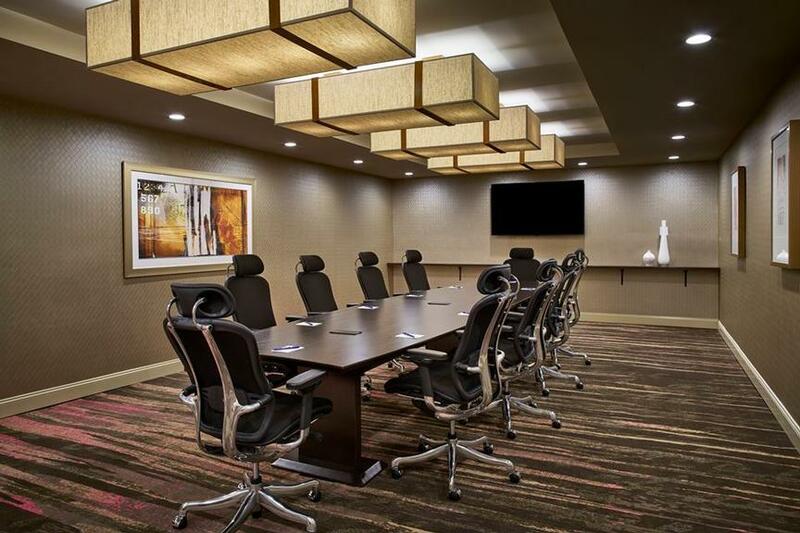 Below are the meeting, banquet, conference and event spaces at Delta Hotels by Marriott Baltimore Inner Harbor. Feel free to use the Delta Hotels by Marriott Baltimore Inner Harbor meeting space capacities chart below to help in your event planning. 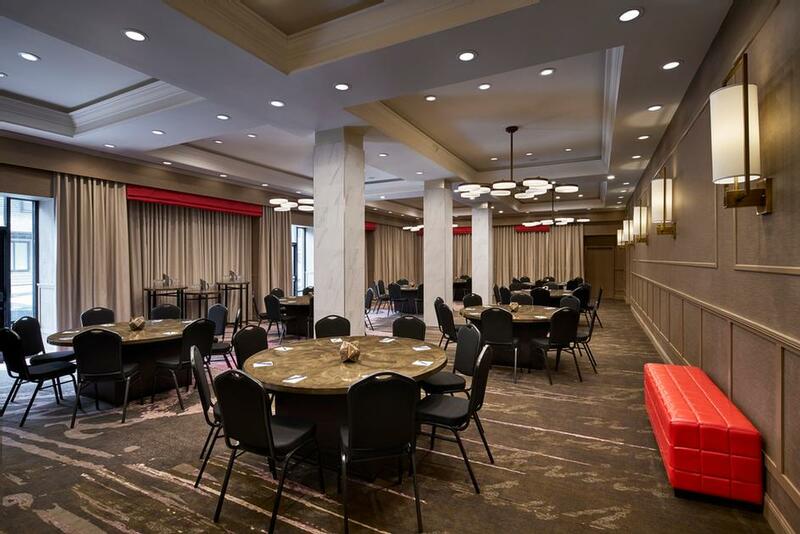 Hotel Planner specializes in Baltimore event planning for sleeping rooms and meeting space for corporate events, weddings, parties, conventions, negotiated rates and trade shows. 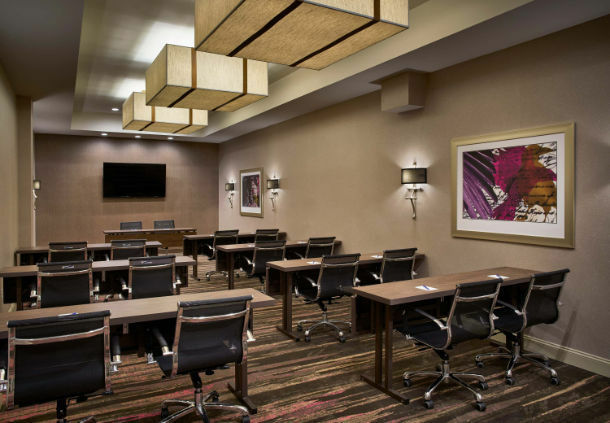 Our Tell Room is ideal meeting space for small trainings, board meetings ,and even a break out room. The Tell Room has a complimentary HDTV on the wall to connect to for presentations. 36 x 14 x 9 Ft.
Our Tale Room ideal for small-scale meetings & trainings, cocktail receptions, bridal showers or cocktail receptions. 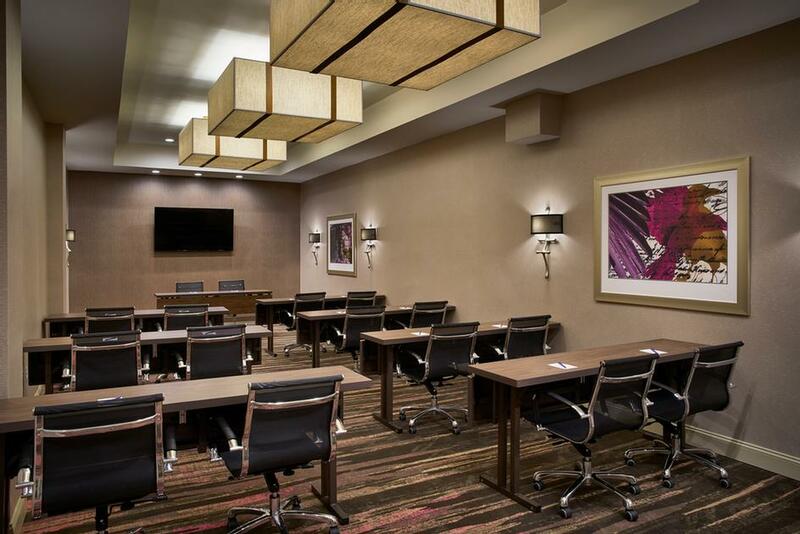 30 x 17 x 7 Ft.
1,820 square-foot Raven Ballroom is ideal for elegant events and trainings . 65 x 28 x 12 Ft.